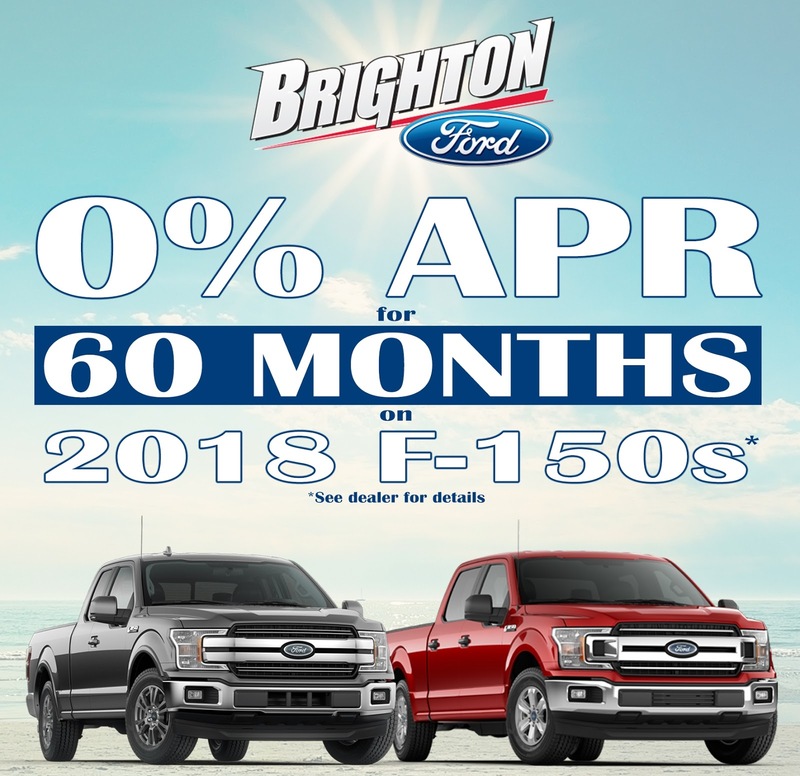 Everyone that knows these facts will love to see that Brighton Ford is offering 0% APR for 60 months on the all-new 2018 F-150 XLT with 2.7 Liter EcoBoost engines! That’s right, get America’s best selling truck for no interest for 5 years! 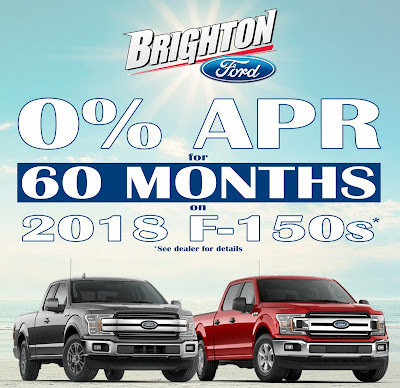 If you haven’t had the chance to check out the new F-150 with a whole slew of updates, now is the time! Call to schedule your test drive today: 810-227-1171. Our customers love the aluminum alloy body, smart towing features and auto start-stop technology on the new F-150s! The F-150 body is up to 700 lbs lighter than the previous generation, made of high-strength, military-grade, aluminum alloy. Not aluminum in the household sense, but heat-treated and hardened aluminum alloy - the same high-grade 6000-series used in big military and industrial applications. Beneath this aluminum-alloy body is a fully boxed frame made of up to 78% high-strength steel.